It would be hard to fit all the great things to do in Provence in one page. This reference page is just a few Perfectly Provence touring ideas. Travel tips for the south of France. Nutmeg will continue add to the list as time permits. 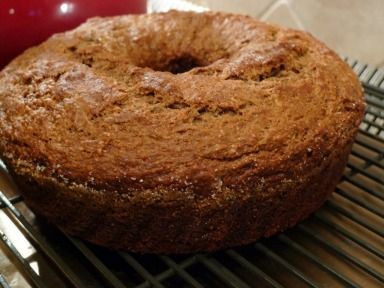 This page is filled with links to previous Ginger and Nutmeg blog posts and other informative information on the region. La Bastide de Boulbon is a charming seasonal boutique hotel with 10 rooms and a beautiful garden. The hamlet of Boulbon is conveniently located just minutes from Avignon TGV. Are you more interested in self-catering and unstructured touring? Then book accommodation through Untours European Vacations. You can read more about Untours in Nutmeg’s blog post here. Moulin de la Roque – just 800m from the heart of Noves is an old flour mill that has been converted into beautifully appointed villas.This private corner of Provence has you thinking you could be in Tuscany. St Remy: As the name suggests Provence Paradise is just that a sublime hideaway just an 8 minute walk from the heart of St Remy. William and his team offer a warm welcome from start to finish, including stocking your fridge with a homemade dinner on the night of your arrival. Tourtour in the Var is home to the newest addition to the Sibuet Maison & Hotels group. The Domaine de la Baume is a Provencal Jewel a secluded hideaway with 5-star service. Near Uzes: Maison des Cerises is a renovated 18th century stone building in the village of St Marcel de Careiret has been converted into a charming 2 bedroom, 2 bath holiday rental. Sainte-Cécile les Vignes: Domaine Rouge-Bleu is both a vineyard and a B&B it is grape heaven in Provence. Need a car? Click here. 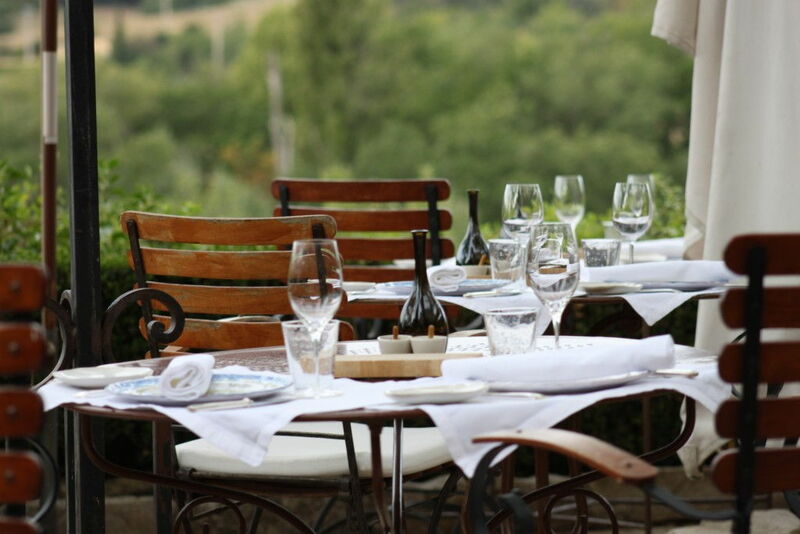 Provence is filled with dining possibilities. 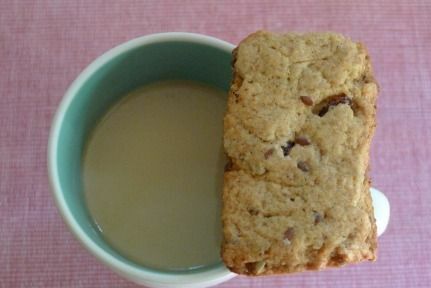 Cafes generally offer table service for coffee and other beverages throughout the day, they typically only serve light snacks. Café-restaurants and brasseries are one step fancier where the proprietors offer a limited menu. Bistro is a small restaurant. Salon de thé is a tearoom or coffeehouse, usually they serve sweet treats along with your drink of choice. And then there are then markets for foodies. 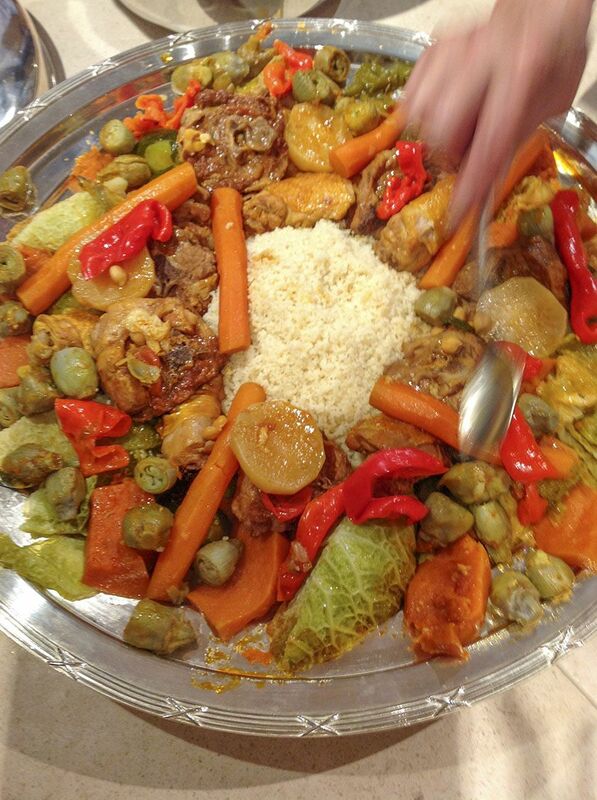 Outside of Aix: La Table de Ventabren – excellent Michelin quality food for reasonable prices. 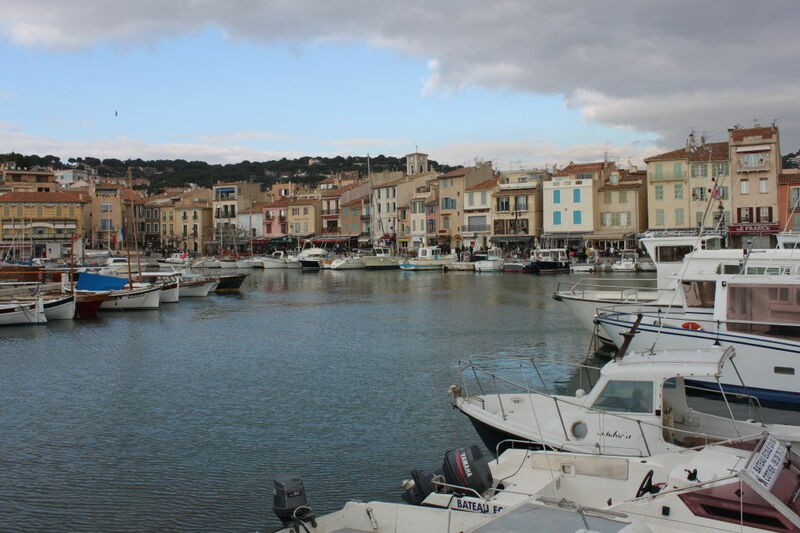 Cassis is located just east of Marseille and is very famous for the adjacent large towering white cliffs. The cliffs are equally stunning as those found along the English Chanel in Normandy. There are beautiful inlets called les Calanques that are accessible mostly by boat, or in some cases by tough hiking routes. It is a great spot for a casual sea-side lunch. The best crepes outside of Brittany can be found in Aix-en-Provence at Crepes, Cidre et Companie where Delphine serves up the real thing with lots of love…and a little butter. Learn about the Juicy Gold Melons of Cavaillon – there is even a festival! 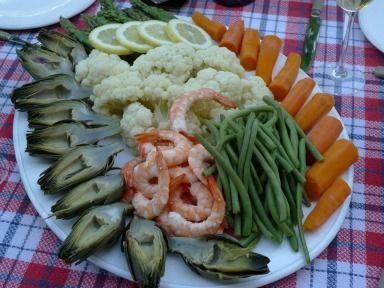 Near Eygalieres: Le Potager du Mas – located on property at Mas de la Rose. Wonderful setting and delicious market fresh cuisine. France is a country of foodies, with broad tastes. Who would have thought of pairing foie gras with gingerbread? Hence, it is also the place with many opportunities to try some downright strange things. Sea urchins or oursin are one of those foods. The first three Sundays in February there is a festival in the seaside town of Carry-le-Rouet called Le mois de Fete de l’oursin et du coquillage. 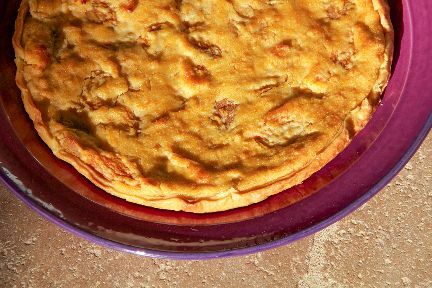 Mas de Capoun – in Mollegues, a consistent favourite with locals and visitors. Do not leave Provence without trying an authentic bouillabaisse. Many versions of this Marseille classic are poor imitations of the real thing. Look for a restaurant that follows the Marseille Bouillabaisse Charter. While we are on the subject here is a recipe for Bouillabaisse. Truffles are found in Provence from November to February, although some experts may say these earthen treasures are not as perfect as those from Périgord the market value at roughly 100 Euros/100 grams does not substantiate that argument. Truffles are unearthed carefully by men and their trained truffle-hunting dogs. The team at Truffe Noire de Haute-Provence follow a training methodology that uses voice and hand commands, no collars or leads. The dogs are trained to work in from the puppy stage, with both the human trainer and the older dogs. 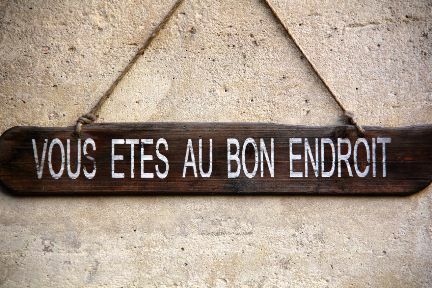 The third Sunday in January is a very auspicious date in Provence. This is the day is the Fete de Saint Antoine or Messe des Truffes. It is worth the trip to witness the blessing of truffles in a church ceremony, followed by a public auction. Here is a video as well. Visit the Gothic Basilica of Mary Magdalene and dine next door in the old convent – Hotel le Couvent Royal. Are you Epi-curious? The school of Epicurus on the outskirts of Avignon is a fun visit for families. Why is saffron so expensive? Read understanding the cost of saffron to learn about saffron in Provence. 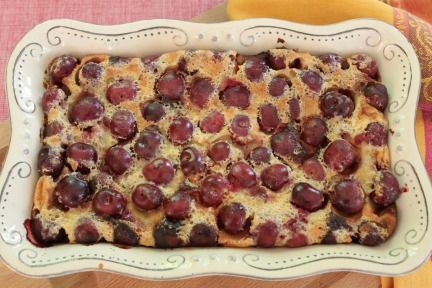 Here are some recipes from Provence. La Petite Maison in Cucuron offers a range of fun classes finished off with a beautiful meal, just don’t plan on eating dinner afterwards. Uzes: Cook’n with Class has their second location (after Paris). They offer market classes, week long culinary holidays and much more. Here is an overview of Provencal Grapevines through the Seasons an ABC guide for wine lovers who just want to know a little bit more. Provence is the oldest wine growing area in France, where vines were first planted by the Phoenicians over 2000 years ago. There is absolutely no way to go thirsty for long with over 350 active vineyards in the region. There is also no point in creating a comprehensive list. The following are some good reference sites and some personal favourites: Official Provence Wine Website. 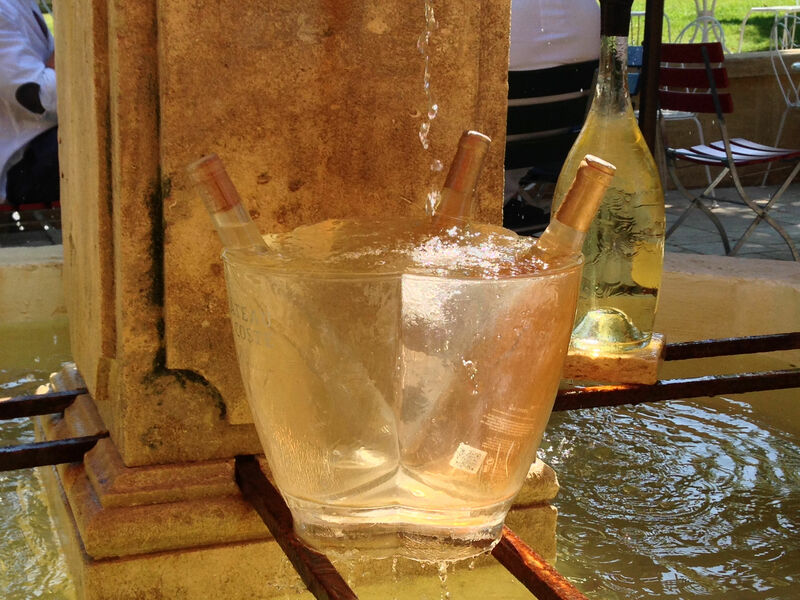 Château la Dorgonne – located in the Luberon, they welcome you for tasting and encourage walks through their vines. Domaines des Terres Blanches – between Eygalières and St Remy this vineyard has fabulous views of les Alpilles. Château la Coste – close to Aix in Puy St Réparade, this vineyard is known for contemporary art and architecture. 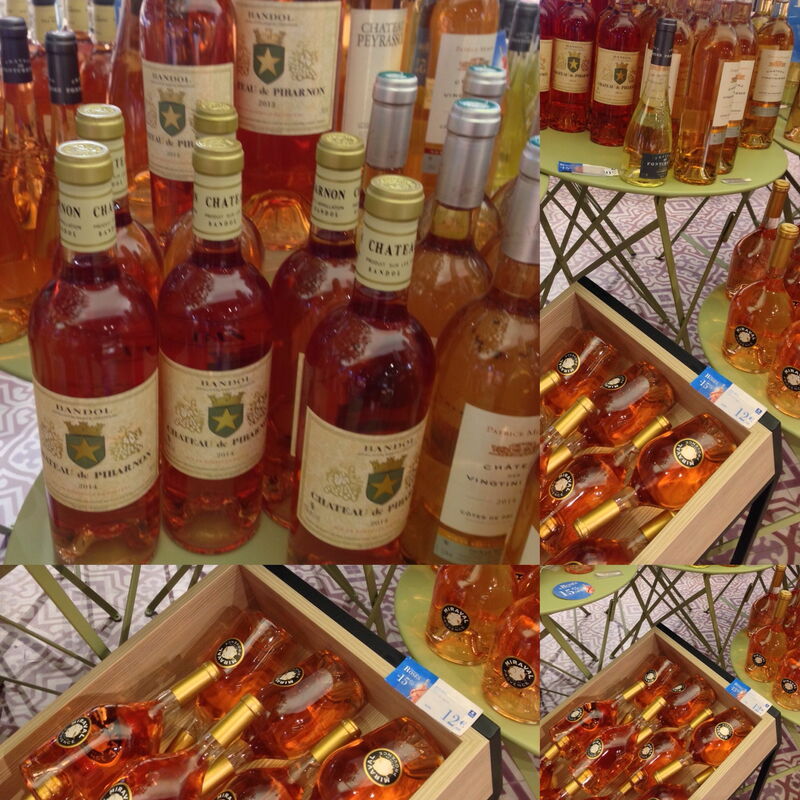 Check out Blending Wine and Art at Chateau La Coste a blog post from our visit. Château Pesquié just outside of Mormoiron at the foot of Mont Ventoux, this is third generation vineyard is one to watch and a great outing if you are touring the region. You can read more about the story behind Chateau Pesquie a Family Rooted in the Wines of Provence. Château Val Joanis – Luberon vineyard has produced wine since the Romans. It is also home to one of the Jardins Remarkables one of the beautiful garden’s of France. Wine store: But if you go to Gordes, check out the wine store that is connected to the Bastide de Gordes hotel. They have an amazing selection, knowledgeable staff and very reasonable prices. Not exactly wine, but find out why Manguin Distillery imprisons roughly 1400 pears in glass bottles in their orchard each season. If you are a market lover you are in heaven in Provence. There is a market somewhere everyday of the week. In larger centres like Aix en Provence there is one every day. On top of regularly scheduled markets there are many seasonal markets and celebrations around harvests and other events. Here are some good articles for reference. Need some ideas for souvenirs and presents to take home? Check out Christmas Presents from Provence and kitchen essentials for an aspiring Provencal cook. Speaking of Christmas the Marchés de Noël start up in every town and village in late November. Of course there is food, that pretty much goes without saying. Food specialties of the season include; gingerbread, chocolates, mulled wine, local truffles, dried fruit, clementines, walnuts and the first pressing of the year’s olives. The markets also include handicrafts, seasonal decorations and gift items. At one time, soap production was a huge industry in Provence – read the story of Savon de Marseille. The Cucuron market is always worth a visit, if you are planning to eat lunch make sure to make a reservation as the town is lively on Tuesdays. Always good for entertainment, and the odd little treasure are the vide greniers France’s answer to garage sales. On the subject of treasures, flea market finds are plentiful in l’Isle sur la Sorgue. This is where you will find permanent stores filled with antiques to family heirlooms. Twice a year there are large weekend sales – not to be missed if you are a market hunter. Read more here about l’Isle sur la Sorgue a touch of Venice in Provence. 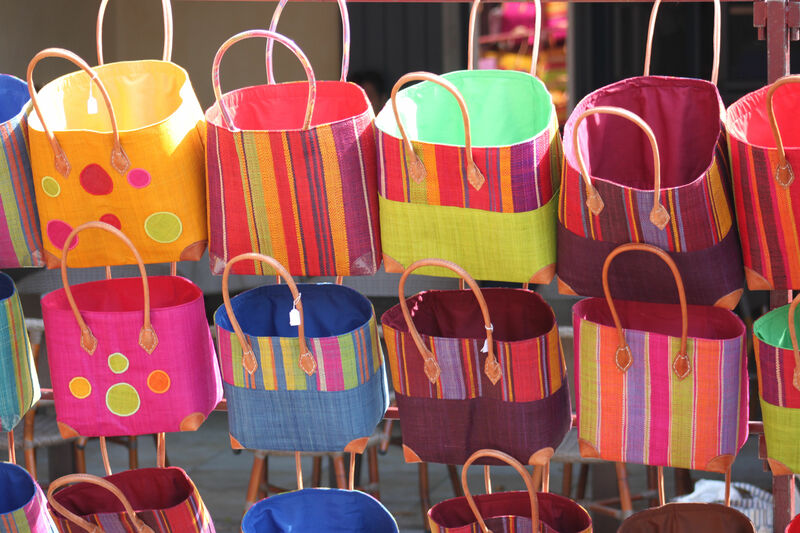 The traditional clothing and textiles of Provence make for wonderful gifts, even if you keep them for yourself. If you can find someone making traditional lavender fuseaux in a market make sure to stock up, this is an old artisan form – they last forever. Olive groves are found in abundance in Provence, as the climate is similar to other growing areas around the Mediterranean (Greece, Spain, Israel, Syria, Italy etc..). Records confirm that olives have been produced in several middle east countries since prehistoric times. By 2000 BC, there are references to a form of olive press and oil exports, from what is now Syria. It would be nearly impossible to not sample some of the high quality regional oil during your visit. But, what to buy? Extra Virgin Oil an Olive Legend might help. Touring Provence by car is easy, the roads are well-marked and with a GPS you can find your destination with little challenge. The major highways (autoroutes) have sign-posted speeds of 130km – and you will find cars driving faster. The rule is pass and then move back to the right lane. However, to explore Provence take some of the backroads and enjoy the vistas of vineyards, sunflowers, lavender and villages. Here is a centrally located rental agency. Before you start driving checkout this handy reference list for common road signs. Unfortunately, young drivers (under 25 years) are subjet to a supplemental rate at most agencies. Also, important to note despite what your see in the movies you cannot park just anywhere – click here for details. AAGP Provence – Anglo-American Group of Provence is a non-profit organization serving the native English speaking community of Provence. Take to the air! Gliding over the Alpilles near St Remy has to be a thrill of a lifetime (or at least a Provencal vacation). Read about soaring here. French Travel Planner – Great resource, website with over 700 links (in English) to help you plan your trip to Provence and other parts of France. The City of Art and Water. Aix-en-Provence inspired Paul Cezanne and Emile Zola in their respective creative crafts. Find out what is there to like about Aix-en-Provence? This Provencal city filled with fountains, shopping, historic streets and fine dining – here are our favourite things. Just outside Aix-en-Provence is Pablo and Jacqueline Picasso’s final resting place. Read the story here. The Calanque National Park runs from Marseille to la Ciotat just beyond Cassis. The cliffs and coves hug the Mediterranean rewarding walkers and boaters with fabulous views and sometimes secluded beaches. Here, is a great link for the calanques with details on parking and more. 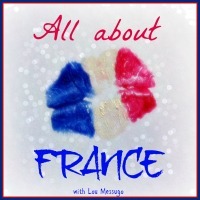 Need to understand a little more about the French postal system here is a story on La Poste. If you are lucky enough to be in Provence in time for the traditional movement of sheep and livestock (spring and fall) you might catch a transhumance as the animals head to greener pastures. Although, this is really for tourists and kids now it remains something worth seeing. Visit the Fortress of Aigues Morts where the brackish waters turn pink in late summer just before the fleur de sel (sea salt) is harvested. On the subject of fortresses, pay a visit to the town of Tarascon and its castle that was also a prison. Discover the legend (or is it fact?) of Tarasque a river monster. Let Provence carry you away and you might find yourself Dancing in the Streets of Salon de Provence. Or listening to a flute music concert in Eygalieres. Generally, summer is a time of festivals and music all over France. It is best to check the local guides for details as there is plenty to see in the way of art and music in Provence. Take a drive to France’s Grand Canyon the Gorgeous Gorges du Verdon in Parc Naturel Régional du Verdon is a wonderful excursion for hiking, water sports, shopping for faience and general sightseeing. Find a bench in any village near the boules pitch and discover Pétanque Provence’s Other Religion. Check out the rougher, wilder, “native” side of the Cote D’Azur. Porquerolles is the biggest of three small islands that make up the Îles d’Hyères or les Îles d’Or (Golden Islands), located just off the coast from Hyères. 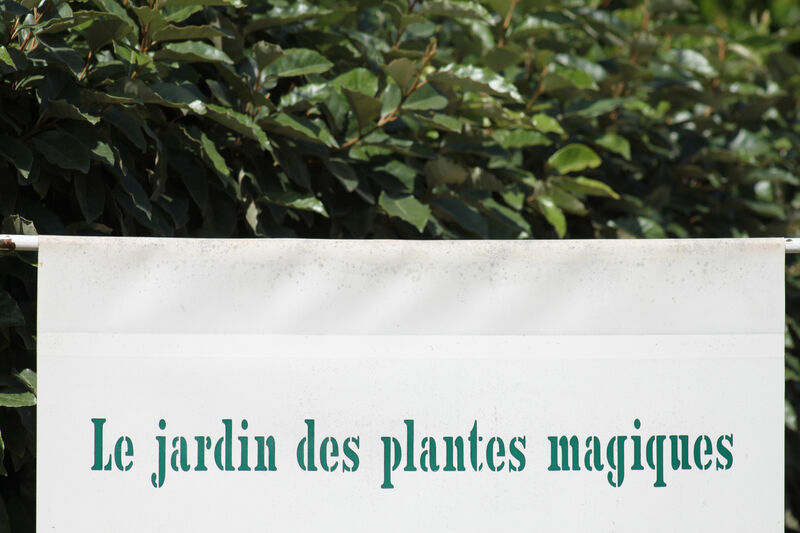 Visit a beautiful garden near Aix-en-Provence Jardins d’Albertas. Spend some time hanging out in “authentic” villages such as Eygalières. Pay a visit to Beaucaire for a look at another side of Provence. A man’s dream…fast cars and fast women track-side at the annual Monaco Grand Prix. Eight military jets performing loops with tricolor smoke over the highway can be distracting. These jets are the Patrouille de France, the French equivalent of the Canadian Snowbirds. Near Roussillon, visit the Mines of Bruoux to understand more about ochre production in Provence. Les Gorges de Régalon close to Cavaillon is a moderate yet surprising hike with a slot canyon. 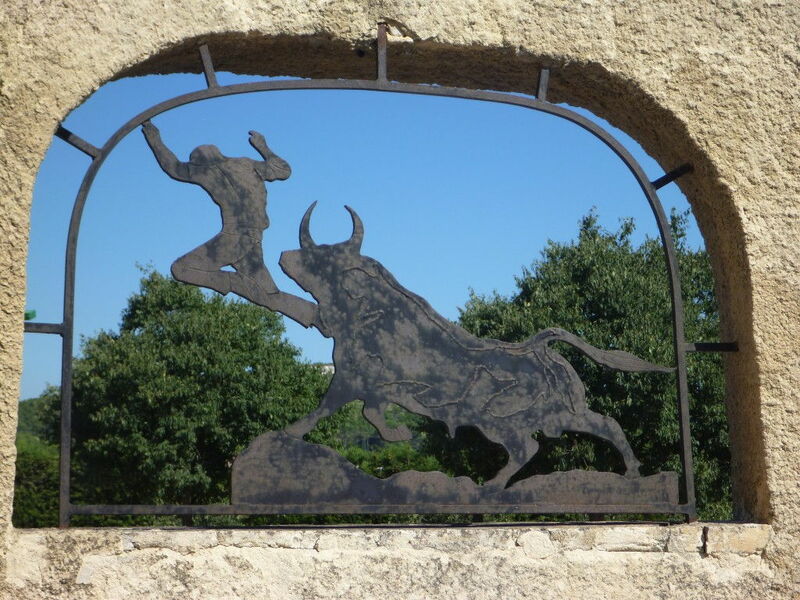 If you can find a parking spot near France’s second most visited site after Mont St Michel you will not be disappointed by Beautiful Les Baux de Provence of the villages that makes the grade for les plus beaux villages de France. Many visitors shy away from France’s second biggest port scared off by Marseille’s somewhat edgy reputation. It would be a shame to miss these sights Palais Longchamp and Fort St Jean constructed in 1660 and now home to a wonderful garden. Lots of money was spent sprucing Marseille up for the European Cultural Capital of the year in 2013 you can read about it here. Provence is a wonderful canvas for photo workshops and photo skill improvement with its unlimited inspiration. Here is a favourite local photographer Andrew Squires. Finally another way to see Avignon! Every visitor should see the Palais des Papes and the Pont d’Avignon, but once you have seen those it is time to dive into the local’s side of the city with Avignon Gourmet Tours. This 3-hour tour will introduce you to the city and some new taste sensations. Make sure to bring your appetite. Antiquing and touring combined into fun holiday packages with Texas-based The Vagabond International a Unique Travel Company. The Abbey of Montmajour outside of Arles has a large parking area, it is an easy stop for a self-guided visit. Or visit Thoronet in the Var of three Cistercian abbeys in Provence. 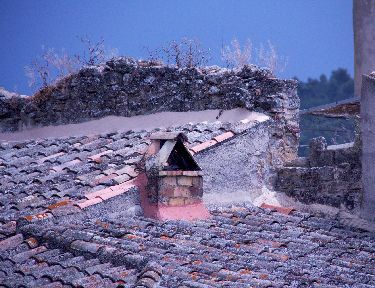 Check out the Luberon views high up on the hill in the village of Banon. It is a great place for a hike or lunch, and don’t forget to buy some of the Banon goat cheese wrapped in brown chestnut leaves. The Massif Saint Baume is a long windswept outcrop that reaches a summit of 1147m. It is also the place where followers of the Christian faith believe that Mary Magdalene retired to a life of penance for 30-years. Today, the sanctuary is a pilgrimage site for many. Regardless, of your beliefs the short hike up to the grotto is well worth it for the vistas. Lyon’s Festival of Lights or Fête des lumières takes place on December 8th every year. On this date the people of Lyon place little candle lamps in their windows in honour of the Virgin Mary. Here and here are two fun videos of the event. With its sobering history the story of the incredible Malpasset Dam that ruptured on December 2, 1959 killing 421 is definitely worth a visit if you are near Fréjus. 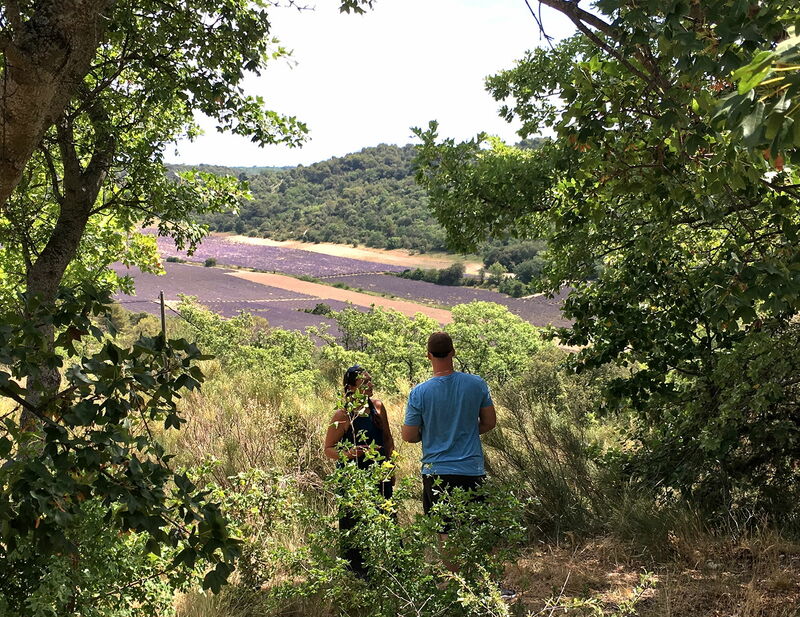 For a relaxing drive through an uncrowded part of Provence the Vallee de Jabron in Haute Provence has stunning vistas with plenty of artisanal vendors along the way. Roman era aqueducts such as the impressive Pont du Gard and the antique theater in Orange should be on your list. If you are staying near St Remy, don’t miss seeing Glanum remains of the Greco-Roman oppidum that has been excavated in the Alpilles and the glorious views from there. Aigue Mortes is definitely worth a visit to see the old town, walk the ramparts and visit the Salin d’Aigues Mortes. Some fun ideas for a week in Provence. Bright yellow flowers signal the start of spring in Provence. The mimosa is a beautiful flowering bush that is often found in gardens, green-spaces, and forests all over the south of France. 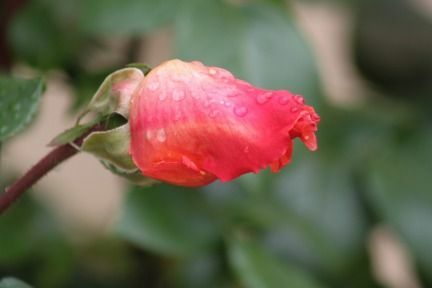 They all typically flower between mid-January and mid-March. The region celebrates this early explosion of colour with a number of events, typically centred around the villages that form La Route du Mimosa. Rent a vintage Citroën 2CV from a Dutch/French company called 2CV Experience and spend a day cruising in low gear. Simply France with Dawn offers bespoke private tours of Provence for small groups. Dawn hand-picks luxurious accommodation to suit the group size, and she works with private guides to bring you the best of Provence. Her goal is to immerse you in a genuine, Provencal experience. Visit the village of Ansouis at Provence’s Crossroads in the Luberon. 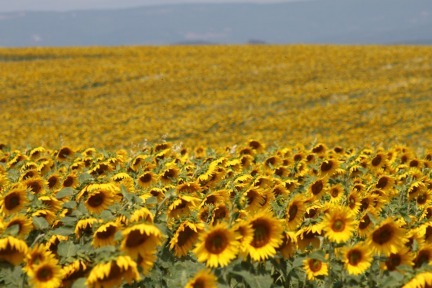 Too hot under the summer sun in Provence? Head to the grottos of Provence the caves located in Villecroze in the Var. Enjoy the caves, the gardens and an ice cream in town. Thomas Jefferson, the US’s third president travelled from Paris through Provence and the Languedoc in 1787 – you can read about his voyage here and here. Read the story of local WWII Resistance Hero Jean Moulin. A funny story about being stuck in Provence. Understand about the 5 Provencal Myths before you travel. How is Valentine’s Day celebrated in France? As it turns out, the day is actually is quite linked to French historical customs. As far back as the middle ages, the belief was that birds started mating in the middle of February. Evidence from the 14th century, stressed a romantic theme emanating from poets and literature at this time of the year. The card or love note apparently originated in France, when the captured Duke of Orleans wrote a poem to his beloved wife while he was imprisoned in the Tower of London. The Provence Book a Guide to Provençal Fables – written and illustrated by Huntley Baldwin. The book is a collection of memorable experiences from the Huntley’s countless visits to Provence. 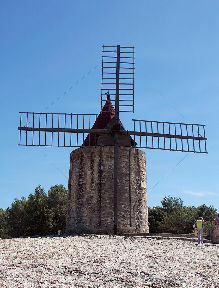 Read about author Alphonse Daudet described his affection for the town of Fontvieille and its windmills. Van Gogh loved painting in Provence, you can read about his time in St Remy here. And the garden of an alchemist in Eygalieres. Find out about the Provencal donkey with a cross on its back. Perfectly Provence for articles by a team of contributors on a wide range of subjects – wine, spirits, food recipes, restaurants, tours, guides, local’s tips and more. For anyone who has ever gotten Lost in Arles this is the blog for you by travel writer Heather Robinson. The Barefoot Blogger is a solo female, retired from a career in marketing and advertising. She writes from her home in Uzes, France. 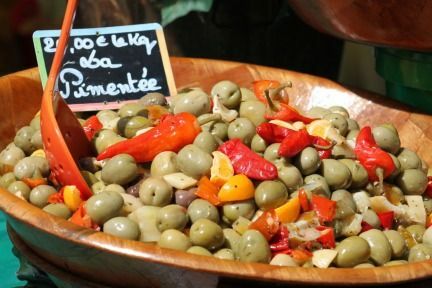 Lynne Alderson and her family live in Aix-en-Provence in her blog Aixcentric she brings you all the latest news on happenings in Aix, new restaurants and family-friendly regional events. Learn about Provence’s mysterious side in a three-part ibook series by photographer Andrew Squires – Provencal Mysteries Unveiled. 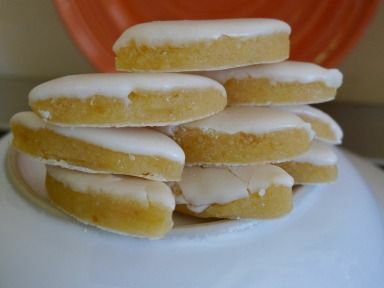 Sips of wine and bites of food by Susan Manfull in her two blogs Modern Trobadors and ProvenceWineZine. 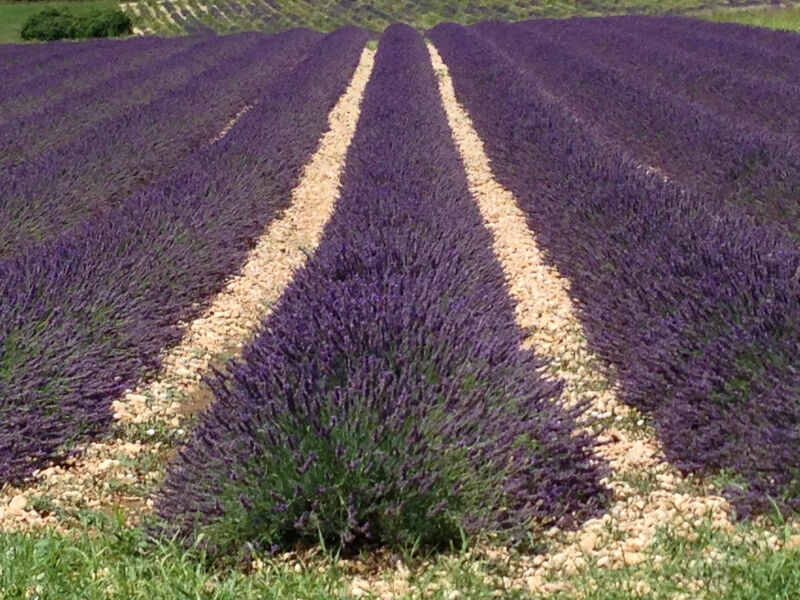 Lavender is the purple beauty of Provence, it is a big industry in France and key to essential oil production. Inspired by the scenery to let out your inner artist the Ateliers Fourwinds Artist Retreat located just outside of Aureille it is a perfect venue for aspiring artists of all types. Or spend sometime checking out the work of local artists such as Henry Ferrier who are inspired by the environment…The images of Provence are almost always perfect with cobalt skies, lavender fields, sunflowers, olive trees and the Mediterranean coastline…that is only because it is nearly impossible to take a picture of the crazy Mistral wind.